From the High North: Old will be the new in our bathroom. Old will be the new in our bathroom. We live in an appartment that dates from the late 1920s and many of the original fitures are still here. We like it and have grown fond of the style. 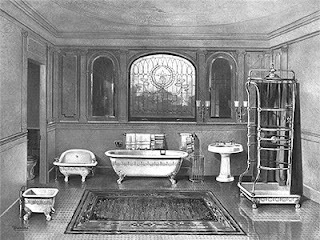 It's time to redecorate the bathroom and we want to give it a feel of the 1920s, though we have no intention of trying to be purely authentic. It's a small bathroom with doors on to oposing walls, a bathtub and no windows. The image is from Standard Sanitary Manufacturing Co.'s 1904 catalog. 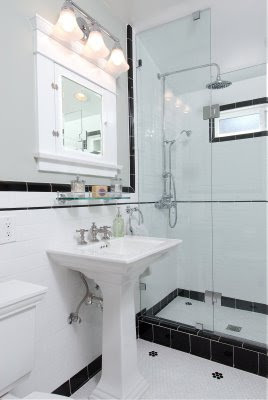 that's a beautiful bathroom :) I LOVE the black and white scheme.